to doing good in the world. 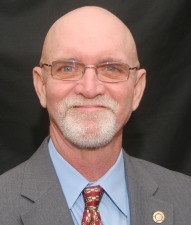 District 6970's Foundation Committee supports each club’s initiatives from fund raising to project fulfillment. Each program addresses a special area and is manned by Rotarians who know the Foundation processes. This special-purpose website serves as a resource of information and contacts to further enhance the mission of the District 6970 clubs Doing Good! The objective of The Rotary Foundation of Rotary International is the achievement of world understanding and peace through international humanitarian and educational programs. Design “Foundation” presentations/mini programs to be made by the committee to Clubs promoting all Foundation Giving programs. Organize, promote, and present Foundation oriented materials at District Foundation Seminar, District Team Training Seminar, District Assembly and District Conference. Track and tabulate Foundation Giving throughout the District and promote/encourage timely submitting of funds to RI Foundation and reports to DG and RI, utilizing AGs. 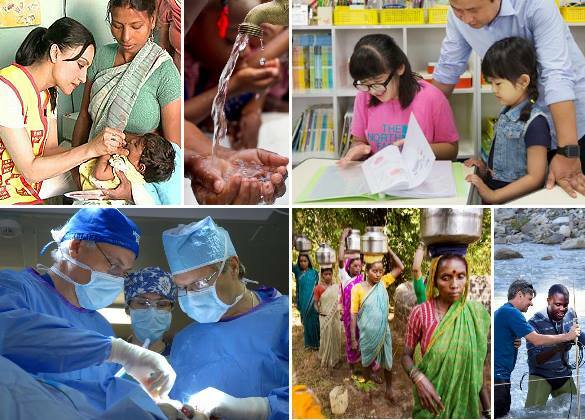 For a century the mission of The Rotary Foundation has enabled its members to advance world understanding, goodwill, and peace through the improvement of health, the support of education, and the alleviation of poverty. TRF is a not-for-profit corporation supported solely by voluntary contributions from Rotarians and friends of the Foundation who share its vision of a better world. It is a cornerstone of Rotary International. 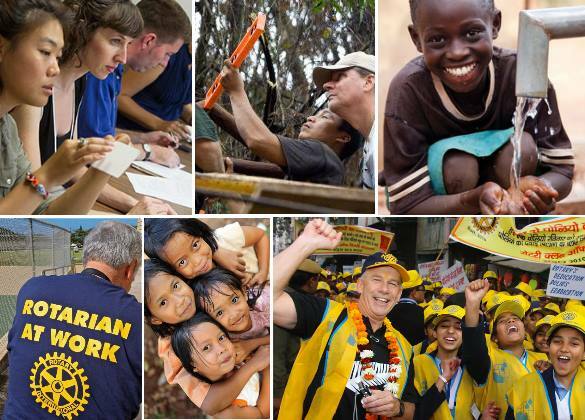 The Rotary Foundation has received the highest possible score from Charity Navigator, an independent evaluator of charities in the U.S. citing excellence for both financial health and accountability, and transparency. The ratings reflect how efficiently the Foundation uses donations, how well it has sustained programs and services, and its level of commitment to good governance and openness. For decades our District 6970 Rotary Foundation has distinguished itself by meeting its commitment to “do good” in the world. Doing good has been the motto of the The Rotary Foundation since its inception in 1917. As an international leader in The Rotary Foundation, District 6970 clubs have provided millions of dollars in financial support to TRF and awarded millions of dollars in community project grants, scholarships, and joint club projects and marshalled thousands and thousands of hours in volunteer participation. TRF selected District 6970 to be one of 100 international pilot districts to pioneer what was called: Future Vision. Future Vision is today the underpinning of the modern TRF and its breadth of humanitarian programs. While this website uses a typical menu system there may be times when you may find it easier to use the search function which acts as an internal Google. At the top right corner of every webpage is an eyeglass icon. Click it and you will activate the text search function. In the upper right corner and just below the title of every subject matter article is a down arrow icon . Click this and a small menu pops up which configures the article for immediate printing or emailing. WANT TO KNOW MORE ABOUT ROTARY? We would be happy to connect you to a Rotary club in your area. Take a moment to send us an email and let us tell you more about our 112 year old organization.